LONDON (Bloomberg) – U.K. automobile-sales group Lookers said full-year profit nearly tripled as it sold more auto parts and services during the economic slowdown. Net income rose to 22.9 million pounds ($37 million), or 5.85 pence per share, from 8 million pounds, or 2.72 pence per share a year earlier, the Manchester, England-based company said in a statement. Last year's period included a 14.2 million-pound charge for refinancing and a loss on terminated businesses. In 2010 the company, which operates 119 dealerships, closed or sold seven weak dealerships, adding six, in order to focus on stronger businesses. 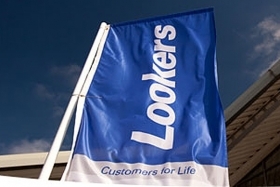 Lookers gets 59 percent of gross profit from service, maintenance, and its independent parts division, the company said Wednesday. "In a fairly diffident used-car market, it was a positive result, built largely on the strength of the after-sales market," CEO Peter Jones said in a telephone interview. "It's given the business great stability in the economic downturn." Lookers' shares have gained 4 percent this year, giving it a market value of 286.7 million pounds. Lookers is so far running ahead of its target of 5 percent gains in new-car volume, helped by interest rates that remain low, Jones said. About 60 percent of new-car customers take out financing at the dealerships and 40 percent of used-car buyers do the same, he said. Lookers is seeking more premium dealerships, such as those selling Volkswagen AG's Audi cars or those produced by BMW AG, he said. It's also looking to make acquisitions such as companies that supply goods to car-parts and accessories suppliers, he said. Motor-division pretax profit rose 12 percent to 28 million pounds, led by repairs and service, the company said. New-car profit increased, even though the company sold 4.8 percent fewer vehicles, because Lookers reduced sales to lower-margin corporate accounts. Parts division pretax profit, excluding one-time items and amortization, gained 11 percent to 12.3 million pounds, the company said.